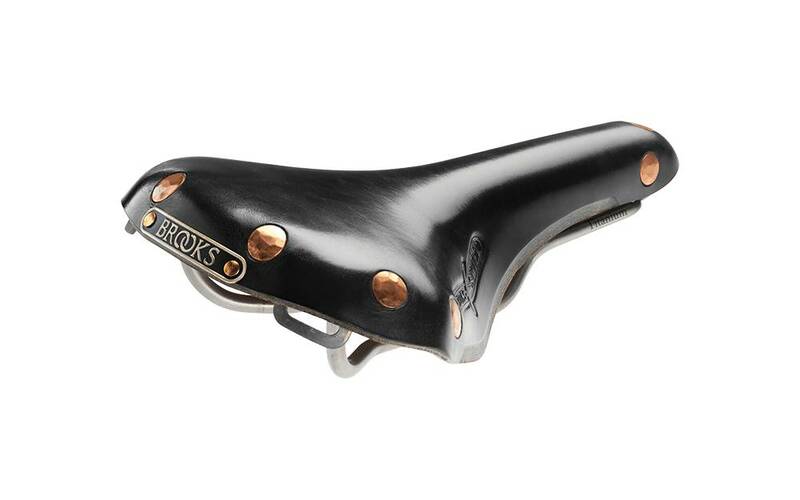 It features delicately hand skived lower sides, where a thin stripe of the leather top surface is cut back, thus exposing the lighter coloured suede beneath which makes for an attractive visual accent and greater comfort when pedalling. The large copper rivets at the nose and tail are also hammered by hand, commensurate with our usual high level of attention to detail. 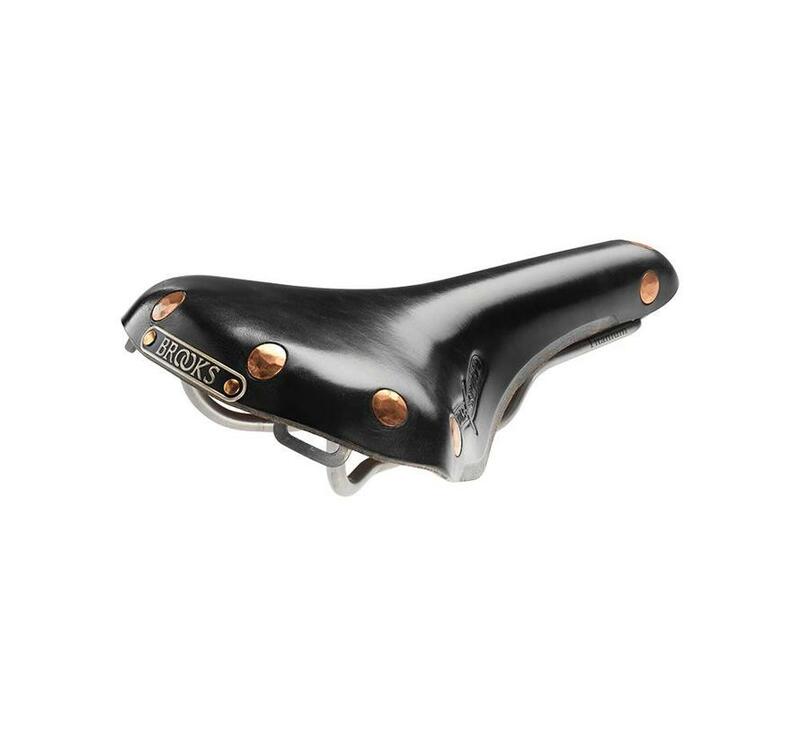 As is the case with all of our hand manufactured saddles, the Swift proudly sports a metal nameplate at the rear, and in addition two embossed graphic details on the sides featuring the saddle name and incorporating an icon of a Swift in flight. On introduction the Swift was offered only with lightweight titanium rails. However, due to popular demand, since 2008 we also offer the Swift Chrome, with traditional steel underpinnings, finished to our usual high standards with bright polished chromium plate.